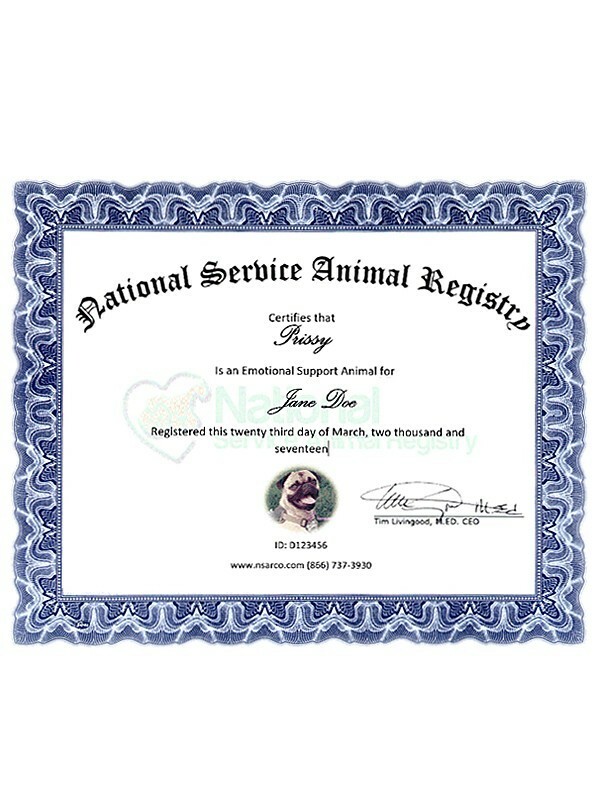 Each order includes an official National Service Animal Registry (NSAR) registration certificate with an image of your animal and other identifying information printed on heavy stock paper. The official NSAR raised embossed seal appears at the bottom of the certificate. By purchasing this product, you affirm that the animal for which this product is purchased is currently a service dog or emotional support animal, as defined by the ADA. It is illegal to represent your pet as a Service Dog if it is not meet criteria. This is only a replacement certificate for an animal previously registered by NSAR.